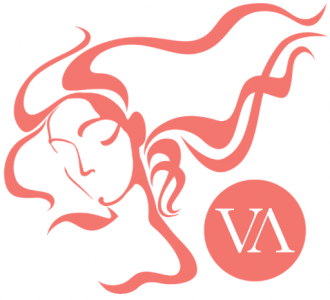 Debra Adams from arena4finance is a finalist at the Dorset Venus Women’s Awards 2015! We are delighted and very proud to have made it through to the finals of the Venus Awards Dorset 2015 in the category of Digital Media and Online Business Awards sponsored by Desixn following the announcement at Stewarts Garden Centre, Christchurch on 21st July. arena4finance, based in Wimborne, offers online learning courses and resources focusing on understanding accounting information for managers via the moodle learning platform hosted by our partners, Dorset Creative. For the past ten years we have been working with our clients to offer an online dimension to the professional development courses we offer with resources and learning materials delivered online via our virtual learning platform. This has enabled us to significantly enhance the education experience of our learners. As an example, HOSPA, the Hospitality Professionals Association, asked us to deliver accredited learning to trainee Hospitality Finance and Revenue Management professionals located across the world. The online classroom enables course materials to be hosted for learners wherever they maybe located. Currently we have HOSPA students studying with us in ten countries from Europe to the Middle East. Using the moodle learning environment, learners can post questions to their tutors, discuss assignment tasks with each other and access online libraries and journals. We have also recently designed an online learning log for participants to record their progress and share their professional development plans with their tutors and their industry based mentors. In 2014, to mark ten years of successfully offering bespoke learning to our clients, we opened our online Study Centre, providing free access to a range of resources to help professionals with their Continuing Professional Development. This is now available via our new website, launched in 2015, developed by the great team at the Poole based web design company, Salad. The Venus awards Finalists announcement for Dorset 2015 will take place at the Poole Lighthouse on September 18th. Good luck to all the finalists!